Rotten Tomatoes also known as the tomatometer rating is a critic site and the most trusted measurement of quality entertainment. This is an American review aggregator website for television shows and movies. The corporation was launched by Duong Senh in August 1998. 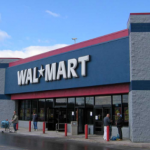 Though its been owned by Flixster since January 2010, which was later gotten by Warner Bros. in 2011. Flixster and its subsidiary site Rotten Tomatoes were sold to Comcast’ Fandango in February 2016. Warner Bros. has a minority stake in the combined entities, Fandango inclusive. The name “Rotten Tomatoes” comes from the habit of audiences throwing rotten tomatoes when they disapprove of a poor stage performance. As the online leading aggregator of movie and TV show reviews from expert critics, Rotten Tomato offers a great qualitative guide to what’s fresh. The famous Tomatometer rating shows the percentage of positive expertise reviews for TV shows and movies. This is used by millions of people every day, to aid their entertainment viewing decisions. Rotten Tomatoes exhibits the best reviewed TV shows and movies as “Certified Fresh”. That title is awarded with Tomatometer ratings of 75% and higher, and a required minimum number of reviews. Weekly Rotten Tomatoes podcasts can be found on iTunes, Stitcher, Soundcloud and RottenTomatoes.com. Rotten Tomatoes’ entertainment professionals make regular radio and TV appearances across the US. In 2016, Rotten Tomato and Flixster became part of Fandango’s portfolio of serving moviegoers, entertainment fans and digital properties. The Tomatometer rating which is based on the published opinions of hundreds of movies and TV critics is a trusted measurement of TV programming and movies quality for millions of moviegoers. Tomatometer rating shows the percentage of professional critic reviews that are positive for a television show or movie. In order for a TV show or movie to get an overall rating of Fresh, the reading on the Tomatometer for it must be at least 60%. If a movie or TV show is given a negative review by the professional movie vritics, then the reading on the Tomatometer will be from 59% below. To get a Certified Fresh Rating, a movie must have a constant Tomatometer rating of 75% and above. Movies opening in wide release need at least 80 reviews from Tomatometer Critics including 5 Top Critics. While movies opening in limited release need at least 40 reviews from Tomatometer Critics including 5 Top Critics. TV shows must have a Tomatometer Score of 75% or better with 20 or more reviews from Tomatometer Critics including 5 Top Critics. If the Tomatometer score drops below 70%, then the TV show or movie loses its Certified Fresh status. In some cases, the Certified Fresh designation may be held at the discretion of the Rotten Tomatoes editorial team. A good review is represented by a fresh red tomato with a score of 60% and above. A bad review is represented by a rotten green tomato splat with a score of 59% or less. The audience rating which is represented by a popcorn bucket, is the percentage of all RottenTomatoes.com and Flixster.com users who have rated a TV show or movie positively. A full popcorn bucket means the movie got 3.5 stars or higher by Rotten Tomatoes or Flixster users. The tipped over popcorn bucket means the movie got less than 3.5 stars by Rotten Tomatoes or Flixster users. The plus sign means that a movie do not have audience reviews or ratings. The percentage you see attached to this icon is the percentage of users who added the movie to their Want-to-See list. Registered and logged-in users can review and rate movies. 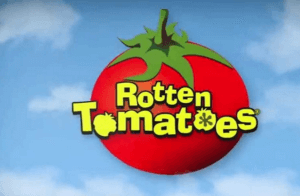 In year 2000, Rotten Tomatoes declared the RT Awards honoring the best-reviewed movies of the year, based on the website’s rating system. The RT Awards was later renamed the “Golden Tomato Awards”. The nominees and winners are announced on the website, although an actual awards ceremony does not take place. The movies are grouped into wide release and limited release categories. Limited releases are defined as opening in 500 or less theaters at initial release. Platform releases, movies initially released in 600 theaters but later receiving wider distribution, fall under this definition. Any film opening in more than 600 theaters is considered a wide release. There are also two categories purely for British and Australian movies. The “User” category represents the highest rated movie among users, and the “Mouldy” award represents the worst-reviewed films of the year. A movie must have 500 or more user ratings to be considered for the User category. While a movie must have 40 (originally 20) or more rated reviews to be considered for domestic categories. Movies are further grouped based on film genre. Each movie is qualified in only one genre, excluding non-English films, which can be included in both their genre and the respective “Foreign” category. Once a film is considered qualified, its “votes” are counted. Each critic from the website’s list gets one vote (as determined by their review), all weighted equally. Because reviews are added manually, continually and otherwise, a cutoff date at which new reviews are not counted toward the Golden Tomato awards are introduced each year, usually the first of the new year. Reviews without ratings are not counted toward the results of the Golden Tomato Awards.